Microsoft has introduced a new Windows 10 Insider preview PC build 15014 and mobile build 10.0.15014.1000 for fast ring members. The latest build brings new features, improvements, and other fixes. Check out what’s new in this build. The latest insider build comes with many new features. However, few Insider members may face issues like download stuck at 0%’ and other problems with this build. 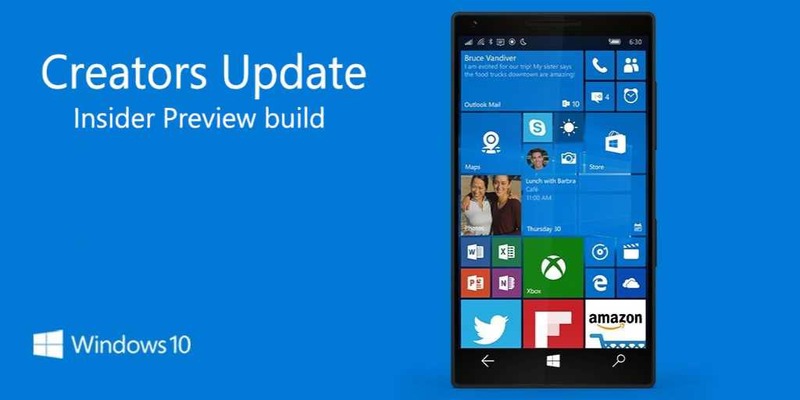 Read here for fixes for mobile build 10.0.15014. Previously, Windows Insider team had released build 15007 for both PC and Mobile (10.0.15007) insider members. E-book Store in Windows 10 Creators Update: Insiders with build 15014 in the U.S. can now purchase e-books from the Windows Store and read them in Microsoft Edge. After purchasing your e-books, you will find those in your new Books library hub entry in Microsoft Edge. New Wi-Fi services option in Settings app: Windows insider team has combined few advanced Wi-Fi settings. New ‘Wi-Fi Services‘ under Settings > Network & Internet > Wi-Fi now includes both Wi-Fi Sense and Paid Wi-Fi Services. Also, “Connect to suggested open hotspots” is one of the settings under “Wi-Fi services”. Windows 10 mobile build 10.0.15014.1000 has removed Apps Corner Due to decreased usage. Windows 10 mobile build 10.0.15014.1000 also fixed the issue causing some devices on Build 15007 to reboot. The Windows Hello greeting being missing from the lock screen is now fixed with Windows 10 mobile build 10.0.15014.1000. Windows 10 mobile build 10.0.15014.1000 improved speed of displaying HTTP images on live tiles (for example, the images used on the MSN News app live tile). Fixed the phone’s display wouldn’t turn off in close proximity to your face when in a call and using Continuum. Stylized buttons in notifications are now aligned to the right, consistent with other system buttons in dialogs in Windows 10 mobile build 10.0.15014.1000. Fixed an issue that might cause an Insider’s custom typing dictionary to be unexpectedly deleted. Windows 10 mobile build 10.0.15014.1000 also fixed an issue on the new Bluetooth & other devices Settings page where Miracast devices would always show as connected, even if they had been disconnected.